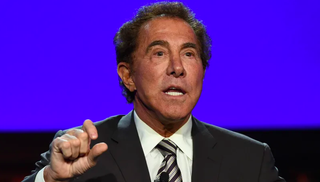 Wynn Resorts has been fined $20 million by Nevada gambling regulators for failing to investigate claims that developer Steve Wynn sexually harassed and assaulted multiple women before he resigned last year. That’s $14.5 million more than the next highest fine in state history. But Wynn Resorts acknowledged in settlement documents that several former board members and executives knew about but failed to investigate after Wynn paid $7.5 million in 2005 to a former salon employee who alleged he raped her and that she became pregnant as a result. “Mr. Wynn … engaged in intimate and sexual conduct with (company) employees,” the settlement documents said. The company also failed to investigate a cocktail server’s allegation that from 2005 to 2006 Wynn pressured her into a nonconsensual sexual relationship, the documents said. Wynn paid a $975,000 private settlement to that woman and her parents, the settlement said. Wynn Resorts neither admitted nor denied that company executives were made aware of allegations that Wynn sexually harassed multiple flight attendants on company aircraft. Though the commission froze Wynn’s Nevada casino license, it has not taken other disciplinary action against him or any of the other board members and executives named in the settlement.